Throughout its marketing campaign, Batman v Superman has focused on the fact that Batman and Superman are butting heads pretty much because Bruce Wayne has taken it upon himself to stop Superman before he becomes a threat to the world. Turns out,that’s not the only reason, as a certain other billionaire is behind their battle. The tidbit comes from Entertainment Weekly’s new cover story reveal for the movie, ahead of its release at the end of the month—Batman and Superman are pressed into action against each other because Lex Luthor, noted fan of villainous hijinks, basically massacres a bunch of people. Oh, and he uses that distraction to do something we already knew he was doing from the trailers: using the corpse of General Zod to create Doomsday. 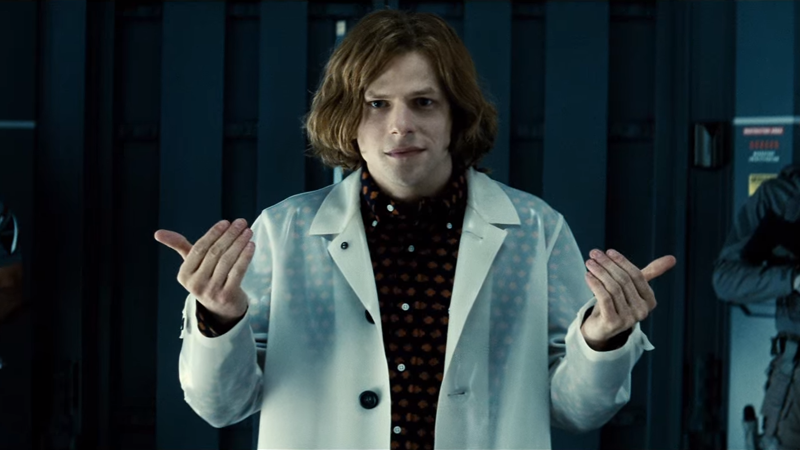 The rage and anxiety of these two characters is manipulated by Lex Luthor (Jesse Eisenberg), a billionaire sociopath with a God complex of his own who takes joy in bringing the powerful to their knees. Luthor not only orchestrates a mass murder aimed at turning the two heavy hitters against each other but also uses some Kryptonian relics left behind from the Man of Steel aftermath to cook up a cosmic mutant Frankenstein— Doomsday, partially built from the remains of Michael Shannon’s General Zod. Considering that Luthor’s involvement in the larger story of Batman v Superman has been mostly kept under wraps until now, this seems like a weird thing to reveal with just a month to go. Like I said, much of what we’ve seen has firmly put the focus of Batman and Superman’s conflict around the destruction of Metropolis in Man of Steel, and Batman’s personal beef with a super-powered alien running around on his planet. But hey, I guess the movie’s villain has to do something appropriately grim and villainous, right? It’s shame other dastardly Luthor plots weren’t used, though. When no one was looking, Lex Luthor killed forty people. That’s as many as four tens! And that’s terrible.